American Pilot Officer John Gillespie Magee, Jr. composed this poem at the age of 19 just months before his death in a fiery crash Dec. 11, 1941. “High Flight” captures the essence of the unique experience of being a military aviator, making this a perfect keepsake for aviators everywhere. 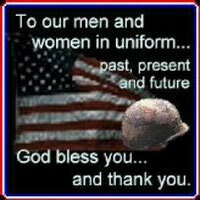 Available for all branches of service, Air Force, Army, Coast Guard, Marine Corps, and Navy. Aircraft specific to your branch of Service are laser engraved into a Solid Cherry 12 inch x 10 inch Plaque along with a full color embossed service emblem. 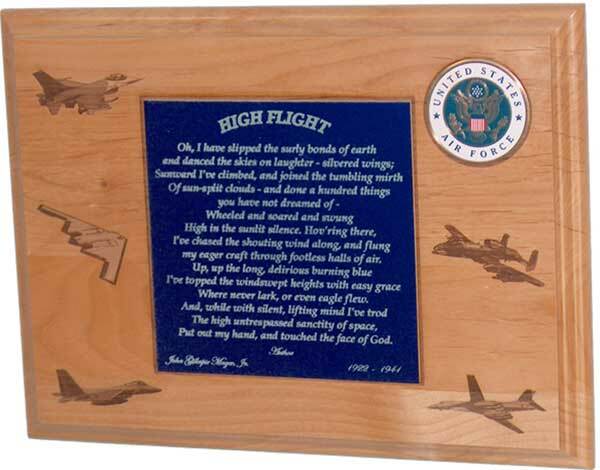 The “High Flight” Poem is laser engraved onto a color metal plate and mounted on the plaque’s center. Two lines Personalized Text Included.